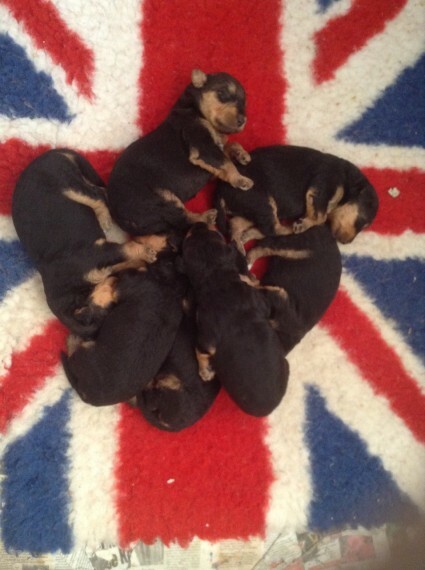 Airedale puppies born 14th May. 4 girls . 3 boys. They will be wormed microchipped. and Kennel Club registered. you will get a puppy pack. and food to start you off. The sire is Champion Sonorra Christmas Cracker from Russtam. Top dog 2015.2016 mother is Lakeaire Mandy Mauve. gorgeous girl. just like her mother Champion Lakeaire Lily the Pink. both parents have excellent hip scores. puppies are black . tan. reared at home. with much love.